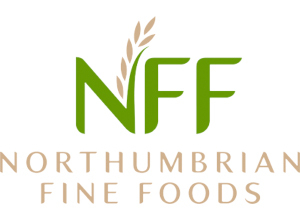 Northumbrian Fine Foods has a proud tradition of making great tasting biscuits for every occasion. The home of Prewett’s and a leading own-label supplier to the retail sector, our biscuits and cookies are renowned for their quality and superb flavour. We are proud to be the UK’s leading gluten and milk free biscuit manufacturer. New product innovation is at the heart of our operation and we are continually developing great new ranges of biscuits for our customers. We were a Q Award winner in 2013 in the sweet biscuit category for our great tasting gluten free cookies! We’ve been baking gluten-free through our brand Prewett’s since the 1980s. It is our passion to bring great tasting biscuits and bars into the free from aisles. Whether it is a new approach to a traditional recipe, or a whole new take on the category altogether, our creative team takes ideas and makes them happen. Prewett’s and Geobar are all lovingly made in our modern processing facility. We take care to develop these products and offer new innovation to the market.